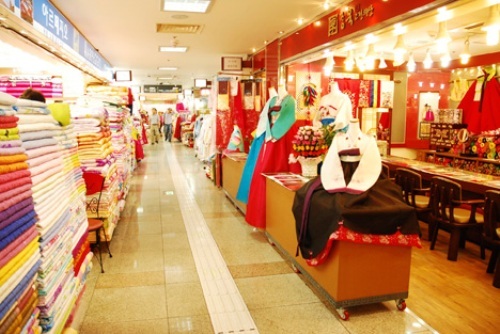 From 14/8 to 31/ 10, South Korea usually welcomes the biggest Korea Grand Sale at various shopping centers. With 50% to 70% sale-off, tourists should prepare their finances for a long trip in South Korea. If you are a shopaholic, you should definitely keep in mind these venues, where the Big Sale events are taking place. Nowadays,Incheon International Airport is not only a transit point, it also becomes a center for shopping, culture & arts experience andleisure travels. 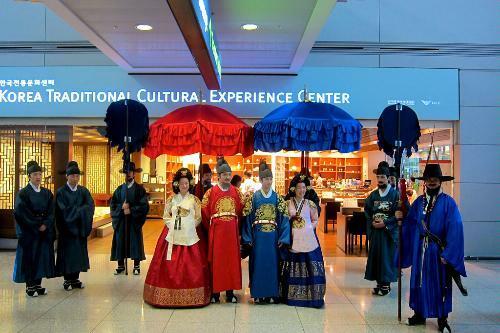 Besides having the modern hotels, restaurants, lounges and spas, the Airport has a playground area, dedicated to celebrate Korean history and cultural activities. The airport shopping center features great retail brands and products at duty free prices, offering the ultimate airport shopping experience. Myeong-dong shopping district is located at the heart of Seoul where tourists can find anything from non-brand shops to high-street brands. This shopping paradise offers pedestrian a sea of clothes, a variety of cosmetics and fashion trends. High street stuffs like Zara, H&M, Forever and 21… are located on the main street and pretty easy to find. Alternatively, tourist can explore the non-brand shops, to find the clothes at much cheaper prices and more variations. 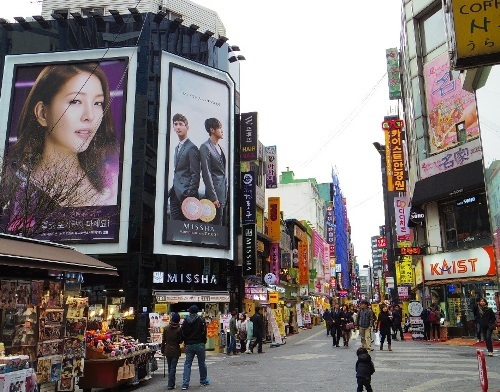 The district is always bustling with tourists looking to buy Korean cosmetic products like Missha, The Face Shop, Nature Republic, Basic House and Codes. Visitors should provide their passports at any store in order to get tax exemption. The market is divided into two shopping divisions. On one side, tourists can do a shopping at a modern shopping malls with retail prices. The other side is a local wholesale fashion market, in which sale people are fluent with English, Japanese and Chinese. Currency exchange points are also available here for customers’ convenience. To the tourist, Doosan Tower, Migliore, Freya Town, Designer’s Club, Migliore Valley, Nuzzon, Gwanghee Fashion Mall, Jeil Pyeonghwa, and Heungin Stardom, are very popular. Most of the visitors enjoy at Dongdaemun Market after 9 p.m, which make it more active at night than during the day. Visitors should be cautious as there will be no return policy after purchasing. Garosugil, located in Gangnam District of southern Seoul, is highly preferred by those fashionista as this place gathers various trendy-clothes vendors, yet with very affordable selling prices. Together with shopping, many tourists come for the open cafés, restaurants and bars for meeting or dating. The interiors are unique and present a bohemian charm with French-style windows. It is necessary to keep in mind about the local traffic jam as it usually happens during the weekend. Most of the shops are located on the pedestrian street and most store employees know some English and are able to communicate with visitors. After shopping, tourists can additionally enjoy international cuisine at food courts and experience incredible nightlife. 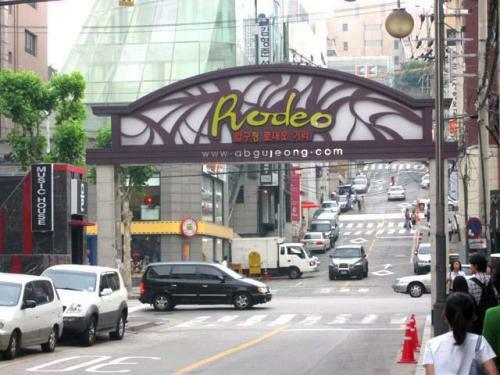 Apgujeong-dong is well known as the most popular luxury brand fashion mall in Seoul. It is the place for people who are very sensitive to their styles and detail fashion piece such as scarfs, watches, belts or clutches. Their outfits look so delicate and elegant, delivering a luxurious fashion style. 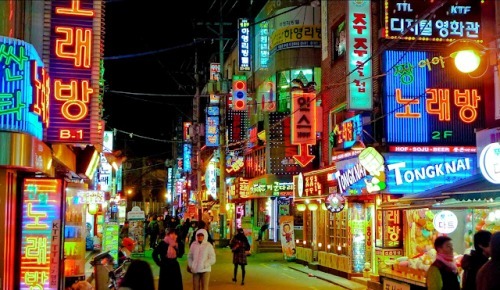 Many of Korea’s movie stars, artists, singers and rich people make their home here. Young generation is attracted to visit here to update newfashion trend in Korea.